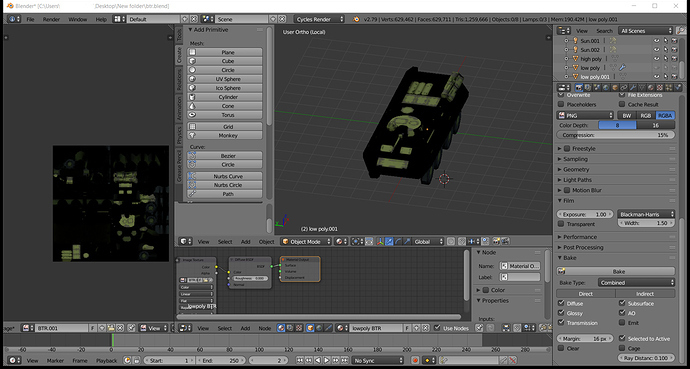 I was try to bake a high poly mesh onto a low poly model to get both normals and the texture however the majority of the texture comes out black and after a day of tweaking settings I got more to show up how it is very dark. Most answers have to do with ray length however do to the seeming random effect of this it is not as similar as I believe. Further more there is a lack of symmetry as case with the wheels and the other side. Help would be very much appreciated and feel free to use the model as for giving your time.